Literally no one on this planet is safe from Brad Marchand’s tongue lashings. I’m not even talking about the literal lickings the Bruins pest tends to dole out from time-to-time. I’m referring, of course, to the chirps. The brutal, ruthless, entertaining-as-hell chirps. His opponents take them, fans take them, his own teammates take them, hell I’m sure his own grandmother isn’t even safe from Marchand’s notoriously loose lips. 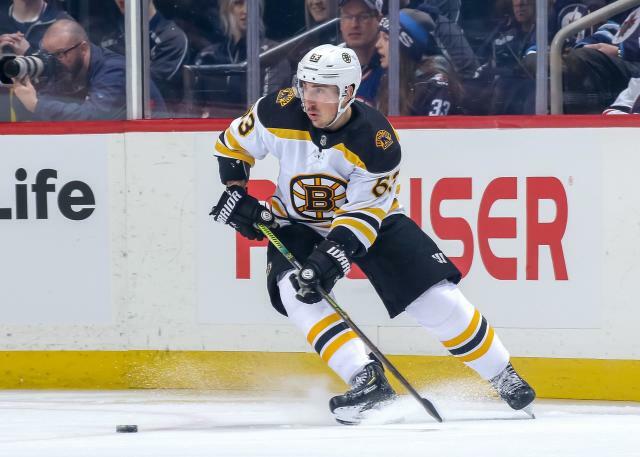 And now we know that not even beat reporters and their savoury takes and analysis can hide from the NHL’s premier trash-talk advocate — as NBC Bruins reporter Joe Haggerty found out first hand on Thursday morning. So savage. My soul is weeping. Of course he didn’t stop there, though, as Haggerty dusted himself off and valiantly did his best to recover with an unfortunately unoriginal elf-related jab before once again being swiftly taking to school by the junk-talk king. Even one supporter who tried to score some online brownie points with Marchand gotten taken to task real quick. Marchand’s transition into the world of mainstream social media trolls has been a smooth one so far. Looking forward to seeing where goes from here after getting a few more reps under his belt. His future in the field of destroying people online is shaping up to be a bright one.